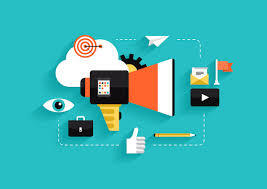 With so much spots online to advertise, your, website ranging from social media sites to content intensive blogs, marketing is not same as before. Advertising budget within its limitation is now focusing on digital marketing due to better ROI estimations. Content centric platform-internet-is naturally more inclined toward digital marketing activities. In a scheme of digital marketing, content or content marketing plays a pivotal role in getting a brand message equally reaching out to the intended audience. However, after smart phones coming into fore, the trend of digital marketing have gone too much content centric and reached to experiential level of advertising. Content is now being developed and replaced through variable methods of message dissemination. First major development with respect to the content strategy is the documentations of entire content marketing strategy. According to certain surveys conducted around, B2B organizations too have started documenting their content strategy. A practice earlier not was existing with them. They only used to have a content strategy in mind not on papers. The need for more and more content is on the rise through and across the cycle of content consumption on internet. The consistent content posting saves your marketing targets in tandem with goals otherwise there is chance for them to lost focus under the pressure of new trends. It can be very useful to document your content marketing strategy, as it allows you to have a clear overview of your goals and your efforts. This allows your business to maintain its focus on the most relevant actions, without any distractions from “shiny” new trends that may not be useful for its particular case. But, the newly developed content should be aligning with the marketing goals and ROI.Personalisation is also emerging as an another influencing factor of content marketing. With personalization, content is modified and streamlined to requirement and need of an audience. Thus is enhancing effectiveness of a campaign. Content now is not developed for a broader audience but get prepared for a specific target audience to make a deeper impact of a campaign on an audience. Moreover, content, is going on the path to be result driven instead of futile content writing exercise. It is more of a ROI driven exercise for marketers. New ideas in the area of content development are emerging now and then. And, finally, the discussion of content is a time overriding exercise if it is not with the intensity of videos frequently viewed over social media and smart phones.